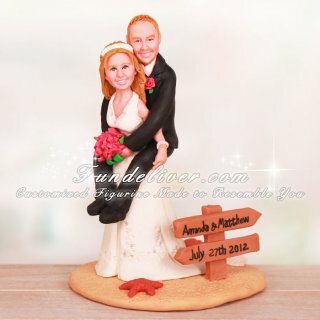 This is a completely customized funny bride piggy back groom wedding cake topper ordered by one of our customers. 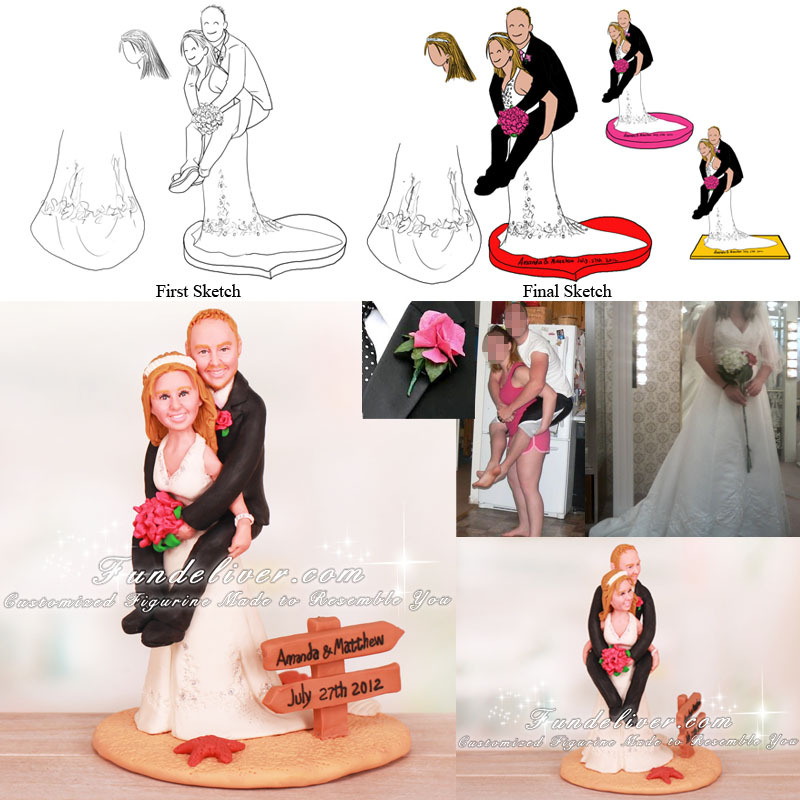 They would like the groom to be on her back as above picture like the bride is giving the groom a piggyback ride. The groom is wearing a basic black tux with white shirt, black vest and fuchsia tie, and holding a bouquet of hydrangea in fuchsia in his hands. The bride is wearing a white dress, standing on a sand base with starfish, shells and a small wooden sign sticking into the base with their names and wedding date on.